The hot-tempered chef called out one of the contestants on the show, and it definitely wasn’t to offer her his compliments. Gordon Ramsay is pretty renowned for being unimpressed with people’s dishes, but this Masterchef Australia contestant had her food quite literally destroyed. Ramsay appeared on Masterchef Australia as a guest judge last week, and on Wednesday’s show described Blue Team leader Chloe Carroll’s food as tasting like a ‘rubber ball’. 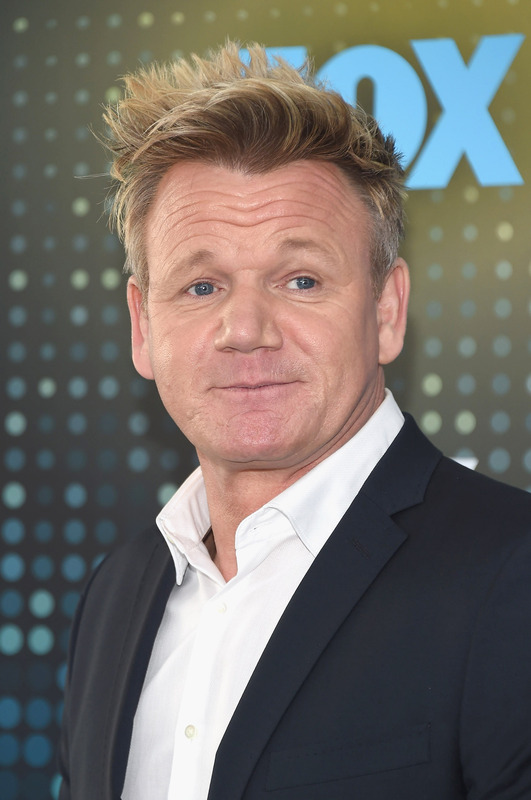 The teams were due to serve food to the public for the first time in the series, and Ramsay’s outburst was due to the fact that their food was not up to standard. The British chef asked Carroll to sample the food her team was preparing, and she admitted that the food was over-processed and that she wasn’t happy with her dish. Way over processed! It’s like a rubber ball inside! He warned Chloe to get it together or he would shut down the entire restaurant operation. As their dishes neared the stage of serving, Carroll and teammate Ben Borsht left their plates of salmon for Ramsay to inspect. 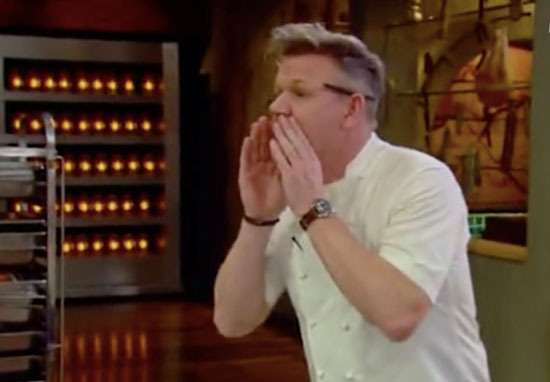 Ramsay shouted Carroll over to him, yelling ‘come here!’ He picked up the salmon fillet and tore it open with his hands, while Chloe confirmed his suspicions: ‘that’s raw’. That’s raw! I could put that back in the f**king sea and it’d start swimming! The contestants agreed, but Ramsay was in no mood to forgive them, and threw the salmon across the room onto the ground. I think it’s safe to say that the Masterchef Australia contestants are glad to be free from Ramsay’s judging eye as his guest appearance comes to an end. Masterchef Australia themselves couldn’t even resist creating an infinite loop of the moment for their fans. Despite his history of brutality when judging people’s dishes, people on Twitter continue to strive for the chef’s approval, sharing pictures of their food and asking the Hell’s Kitchen star what he thinks of them. Don’t think he goes easy on celebrities either; Ramsay was asked to review some images of A-listers’ home cooked meals on the show Watch What Happens Live With Andy Cohen back in 2017. Chrissy Teigan, Martha Stewart and Sarah Michelle Gellar were among the celebrities slated for the food, with Ramsay giving his ever-detailed descriptions of the dishes, describing one as looking like it had ‘caught a disease’, and another as a ‘dog’s dinner’. The world famous chef took a different approach to schooling American kids for Masterchef Junior dressing up as everyone’s favourite cross-dressing nanny Mrs Doubtfire. As mean and dream-crushing as Gordon’s critiques often are, we can’t get enough of them. Never change, Gordon.